Choosing between Jenny Craig and Wild Zora, you are faced with a rather difficult task. Both services have unique qualities that make them highly popular among hungry customers nationwide. However, that does not mean that the choice is impossible to make, as one of these services does have a bit more to offer. Our Jenny Craig VS Wild Zora comparison below allows you to discover what it is that makes these two services different from each other, as well as which one constitutes a better choice. Wild Zora, which recently acquired Paleo Meals To Go, offers Paleo meals, fruit snacks, and bars that are perfect for camping, compliant with various special and popular diets, and made of the finest natural products. Wild Zora is not your typical meal delivery, so it doesn't feature a menu. With Wild Zora, you can choose from 20+ items. Wild Zora offers allergy-friendly, diabetic-friendly, Whole30-compliant, Paleo-friendly, AIP-friendly, low-carb, and low-glycemic just-add-liquid meals, fruit snacks, and bars. All of its products are free from gluten, grains, and soy and some products are nut-free. Wild Zora exclusively uses 100% grass-fed meat that is humanely raised on pastures. Its products are made with organic fruit and vegetables and healthy, natural herbs and spices. All products are free from chemicals and preservatives. Wild Zora products come in average-sized portions. The calorie count varies, with most bars and snacks containing around 100-150 calories and most meals containing around 350 calories. The meals are generally rich in proteins and nutrients, low in carbs, and designed in accordance with the rules of the primal and Paleo diets. Wild Zora is not a subcription-based service. If you are not 100% satisfied with your delivery from Wild Zora, you can either receive a refund or replacement. We were a bit mad when we found out that Wild Zora bought PMTG, because we have been ordering from PMTG for a long time and we were afraid that they would change the "menu". We were pleasantly surprised to see that all of the meals we loved are still there and there are a couple more bars to choose from, so we're happy with how it all worked out. Have to say, I didn't expect much from a dehydrated meal, but I tried Bedrock Beef Chili and Mountain Beef Stew and they were actually pretty delicious. The texture is not perfect, but you can't expect it to be the same as a freshly cooked meal. Best place to get camping food. I think that a meal in a pouch should cost less than a fresh meal, but still, pretty convenient. We didn't like all the bars we tried, but BBQ beef ones are really good and I like that it's all really natural. Wild Zora is a Paleo meal and snack delivery service that has partnered with Paleo Meals To Go in order to provide lovers of healthy, primal food with the most natural dehydrated meals, snacks, and bars available on the market. 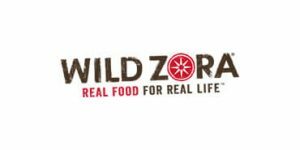 Discover the full range of its tasty products in this comprehensive Wild Zora review.